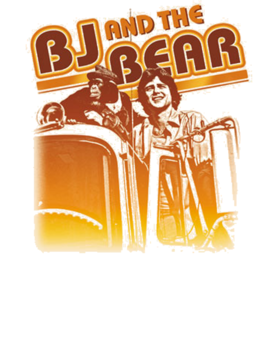 BJ and the Bear Retro T Shirt. Choose your T-Shirt color from the color picker. Choose T-shirt style and size from the drop-down menus. View your creation in the window. Click Add To Cart to add you shirt to your shopping cart. Click View Sizing Chart for the sizing details. If there is an error or defect with your order please contact us right away and we will be happy to send out a replacement for it. Please be prepared to send a picture of the issue for our Quality Control Team. We can only offer a 100% refund or exchange for defective orders because all ShirtyDirt shirts are custom made. Returned items that don't meet our return policy are charged a $7 restocking fee ($15 for hoodies). The customer is responsible for return shipping charges. For return address information please contact us by email at info@shirtydirt.com as different products are shipped from different warehouses. Upon receipt, ShirtyDirt will refund your purchase. Follow @ShirtyDirt The Shirty Dirt!